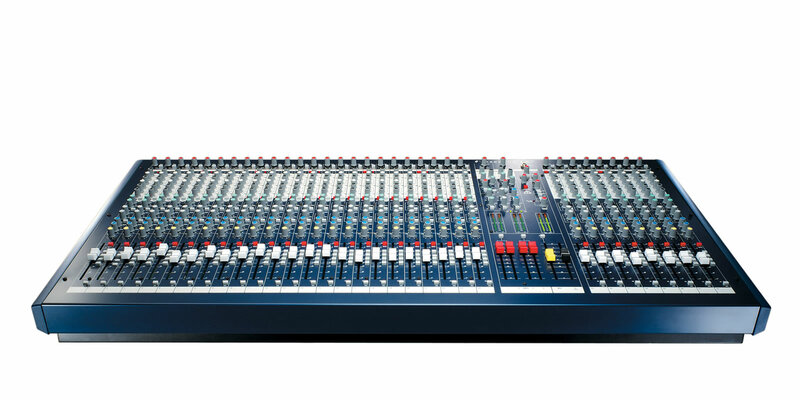 The Soundcraft LX7 console was highly successful and its legacy continues on in the LX7II. Building upon the LX7’s rock-solid reliability, the LX7II offers improvements in audio specifications and also borrows some classic design elements from the Soundcraft MH3 and MH4 touring consoles. 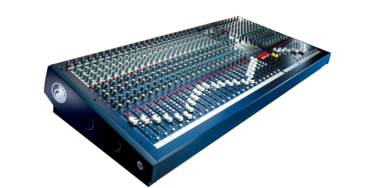 Easy to use, durable, and with the legendary sound quality that’s made Soundcraft relied on by audio professionals worldwide, the LX7II is perfect for touring bands and small venues. 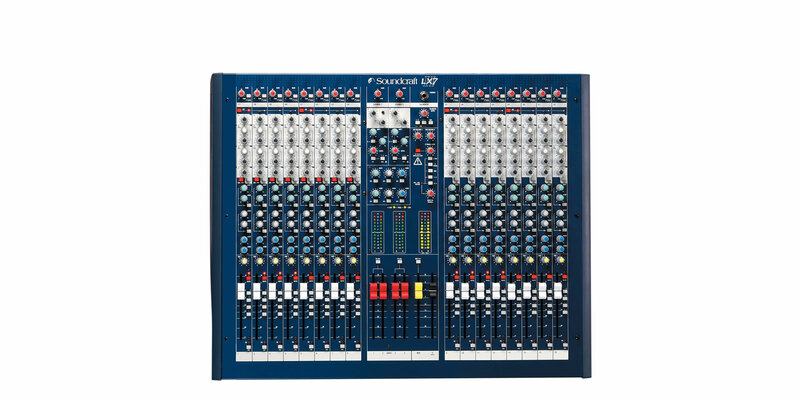 Electronically, the LX7II includes a Soundcraft GB30 Series mic-preamp and EQ section, both designed by Soundcraft founder Graham Blyth. The 4-band EQ features swept mid sections and is modeled after the highly-acclaimed EQ in the MH3 and MH4. "The GB30 mic pre on the LX7II brings together the quality and precision of the mic pre's we use on our biggest touring desks, whilst retaining the cost-sensitivity demanded at this point in the market," reports Blyth. "We’re conscious that we must provide the best possible audio quality at the best price for the customer—we do not allow compromise—and it starts at the mic preamp. 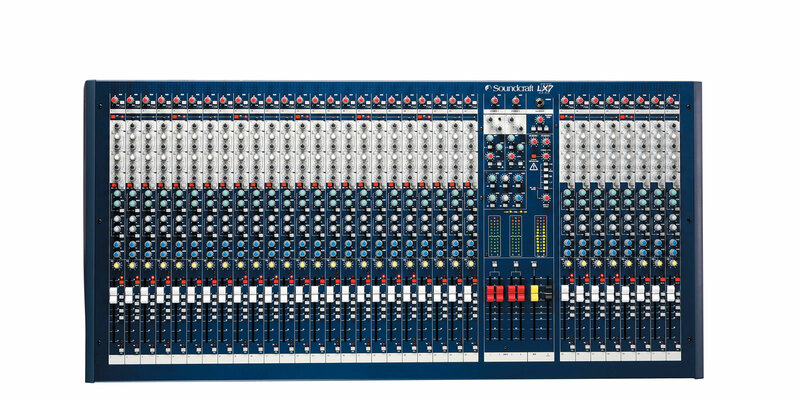 Other standard features of the LX7II include frame sizes up to 32 mono inputs and four stereo inputs/returns with four groups, main stereo output and a dedicated mono output for centre clusters. 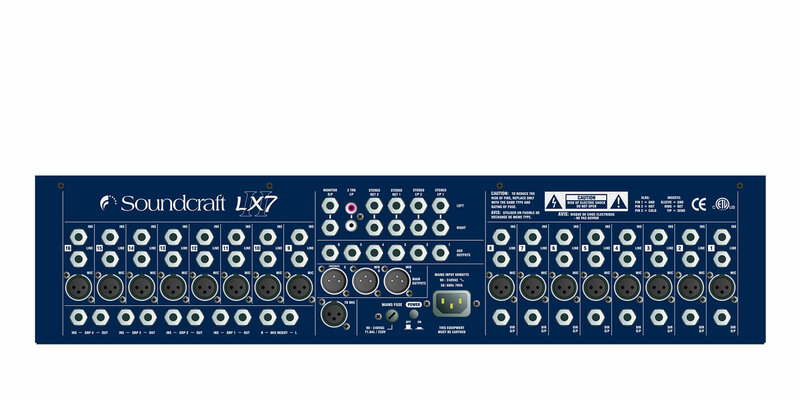 There are direct outputs on the first 16 inputs suitable for multitrack recording, and six auxes for flexibility, effects and foldback. The LX7II mixes to seven outputs—four subgroups, plus the main Left, Right and Centre (Mono) mix outputs. Continuing the tradition of the LX7, the LX7II is highly successful in live applications, including performance PA, installed systems in houses of worship, theatres and similar applications that rely on a compact sized console to provide a large number of inputs and maximum output capability.